It is no fun to slip and fall down anywhere. At home, you may be alone, and if you get hurt badly enough, you may not be able to get up by yourself. If you’re in public, not only does it hurt, it is also embarrassing. Then there are the possible medical expenses if you sprain or break something. If your fall and injury have occurred on public property or in a shopping area, there will be insurance to deal with, and worst case scenario—a lawsuit. 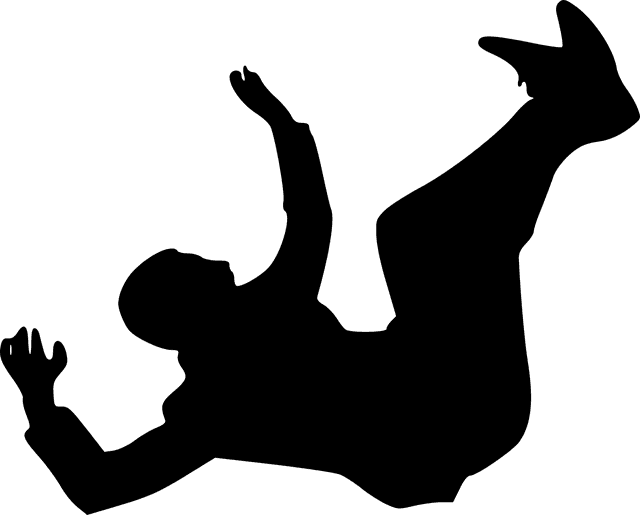 So whether you are the injured person or the property owner in danger of being sued, what can you do to minimize falls? And what are the top three causes of a slip and fall accident? Read more here to get all your questions answered. There are, of course, some differences in opinion on what situations cause falls the most often, but here are three of the most common slip-and-fall dangers. A wet or slick floor. Avoid walking across a freshly-mopped, still-wet floor. Not only is it good manners to not track up a wet floor, but you’ll also save yourself the possibility of slipping on the wet surface. Even a highly waxed floor that looks nice and shiny can be slick. The type of shoes being worn can also be a factor. Also watch out for wrinkles in carpeting, a change in the level of the floor, and holes or cracks. Be careful with throw rugs too. Watch out for toys or other objects on the floor where they don’t belong. Icy or snowy conditions. This almost goes without saying that an icy sidewalk or parking lot is an accident waiting to happen. Hard-packed snow is slippery too, as is slush. If you have to get out in these conditions, walk very carefully and watch where you’re going. Try to wear boots that have good tread on them, just as you choose tires with deep tread for your car. Sprinkle some type of de-icer such as rock salt on your steps, driveway, and sidewalk to help prevent falls. Construction defects and stairs. Okay, there are two-for-one here, but they are both such common places for falls that it’s hard to leave one of them out. Watch out for uneven sections of sidewalks, for unsafe, rickety stairs, potholes, or rocks underfoot. Even well-made stairs can still be the site for slips and falls. Be sure your foot is fully on each stair, hold on to the handrail (if there is one), and don’t run or skip steps. Stairs that aren’t the same height can be tricky. Stairs that are slanted rather than level can be a problem, too. Not mentioned in any other listing of the main causes of falls, but one that’s important is the bathtub or shower. Many falls happen in the tub, getting in or out. It’s a good idea to put a non-skid bath mat down in both the tub and shower. The main thing is, be careful! Minimize problem areas and then walk carefully.